In the United States, there are several big-name companies vying for your business, and in recent years, T-Mobile has really shaken things up by offering devices and plans that undercut many of the longer-serving network operators. 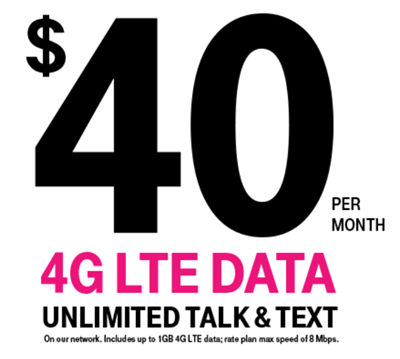 Today, T-Mobile has launched a fleet of prepaid data plans that will roll out later this month, including some impressive, unlimited deals at bargain rates. 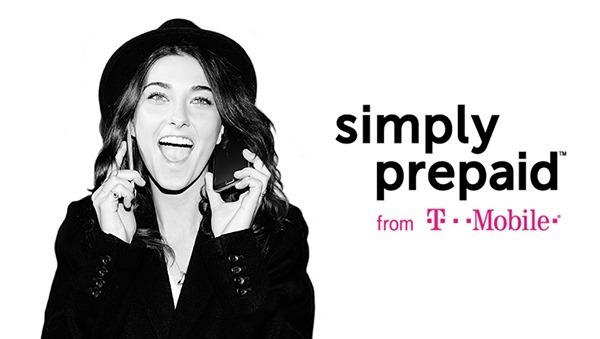 As of January 25th, T-Mobile’s Simply Prepaid program will launch, offering three separate plans at $40, $50 and $60. At each increment, you get unlimited talk, text and data, but the key difference between each price point is the amount of 4G LTE data you receive. For $40 on Simply Prepaid, your allowance of 4G LTE will be capped at 1GB, while those paying $50 will get 3GB. For those willing to pony up $60, there’s 5GB of LTE data, but the real catch in what sounds an appealing package is what happens once the quota has been reached. See, when things sound too good to be true – particularly in the mobile world – they usually are, and whilst T-Mobile’s Simply Prepaid package is very agreeable at first glance, those running beyond their 4G LTE allowance will be met with crippling 2G data speeds. So rather than floundering on the relatively speedy 3G, as some packages allow you to if you wish to save money amid the 4G Revolution, T-Mobile offers a small taster of cutting-edge, rapid data speeds before abruptly throwing you back into the stone age. There’s nothing wrong with this practice, mind – at least T-Mobile is being transparent – although after an hour / day / week of using 4G, let’s just say you will notice the incredible gulf in speed when you’re tossed back onto the 4G scrapheap. Any plan that offers 4G alongside a limit of how much data can be downloaded is always going to catch a user out, since, with quicker data, more will likely be used during any one sitting. It’s worth pointing out that none of the Simply Prepaid bundles include tethering, so you won’t be able to share your device’s connection with other devices, and also, any 4G LTE data you don’t use will not be carried over to the next month. T-Mobile has no intention of scrapping its pre-existing prepaid plans, so Simply Prepaid will be joining other package offerings like Simple Choice when it emerges later on this month. When I seen this my reaction was “hell yea that’s cool” until I read that the 4g “lte” would be capped at 8mbps maximum..that’s not nowhere near “lte” nevertheless it’s still a deal but I’ll take my 6 plus to metro pcs and pay the same amount but will also get real t mobile lte speeds. I wish T-Mobile would come to Canada. Our mobile plans are horrendously expensive.